FOUR LA is popping up in Downtown LA on Saturday, March 30th from 10am-6pm! The shopping extravaganza will feature the latest in womenâ€™s spring clothing and accessory trends. 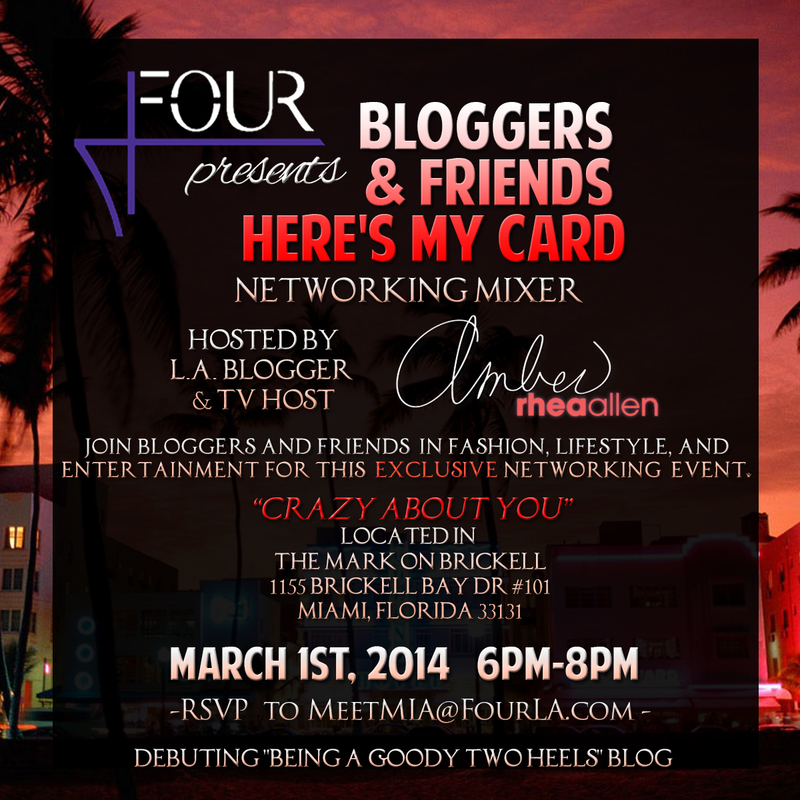 Guests who email their name to shoppretty@FourLA.com are eligible to win a FOUR gift bag! 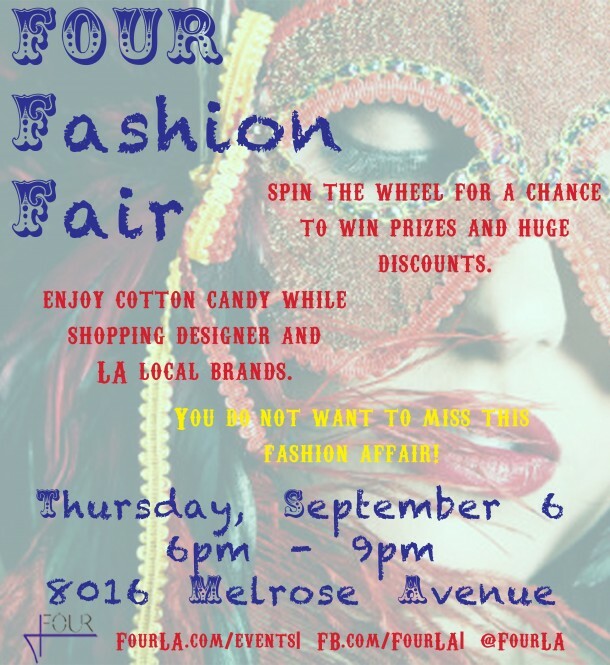 You won't want to miss this this exclusive FOUR DTLA shopping experience! 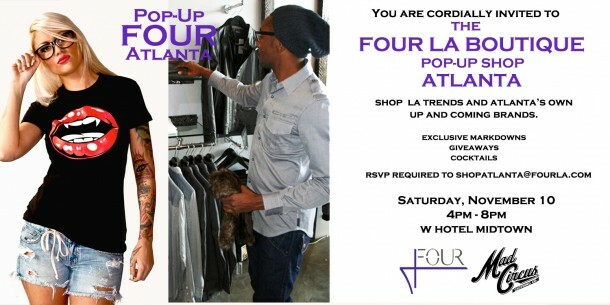 FOUR LA is popping up in Atlanta on Saturday, November 10th for a pre-holiday shopping extravaganza! Receive details and reserve your spot with an RSVP to ShopAtlanta@FourLA.com. 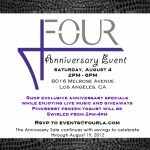 Celebrate and Shop FOUR LA! Join us Saturday, August 4th for our Anniversary Sales Event. 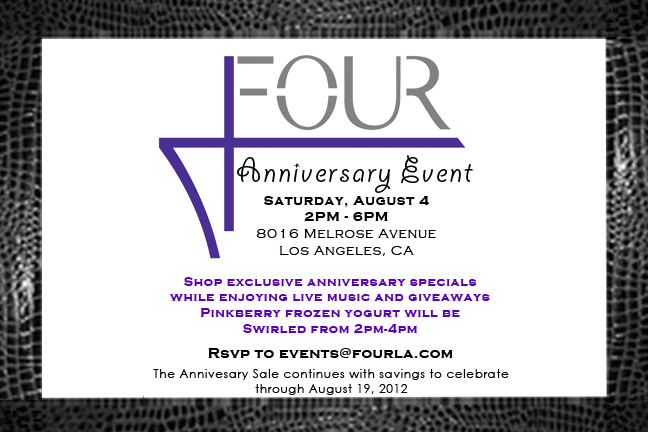 Enjoy exclusive discounts, live music, giveaways, and Pinkberry frozen yogurt as we celebrate FOUR LA! Stop by the boutique anytime between 11a.m. -7p.m. 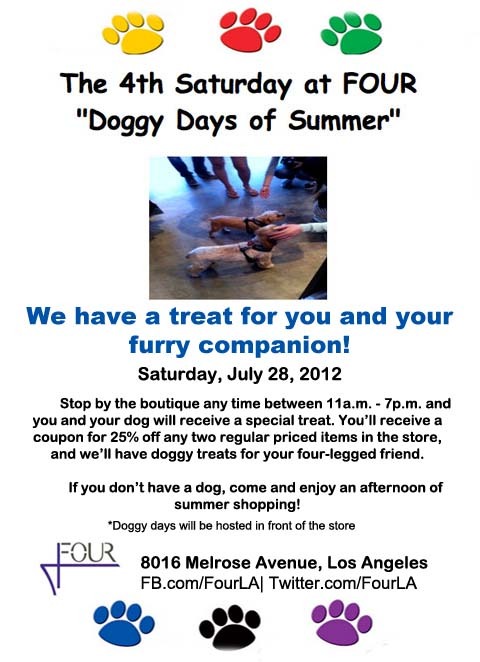 on Saturday, July 28 and you and your dog will receive a special treat. We'll be handing out coupons for 25% off any two regular priced items in the store, and there will be doggy biscuits for your four-legged friend. The 4th Saturday at FOUR: Shop, Sip & Win! 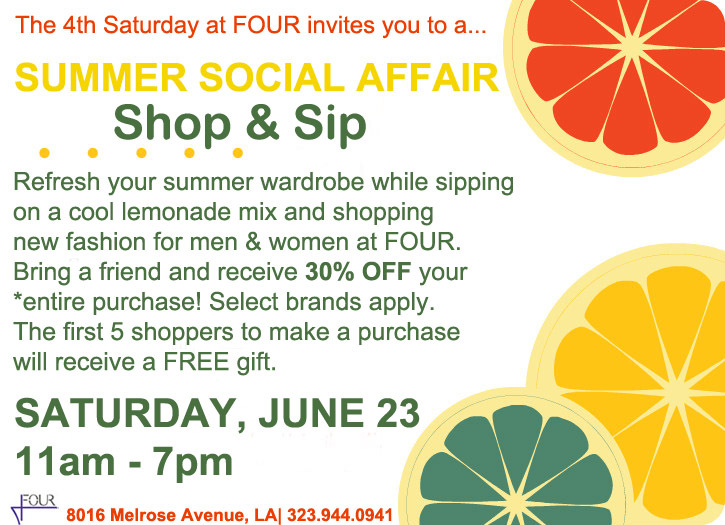 Shop, Sip, & Win this Saturday at FOUR! Bring a friend and get 30% OFF your entire purchase plus a chance to win a FREE gift. 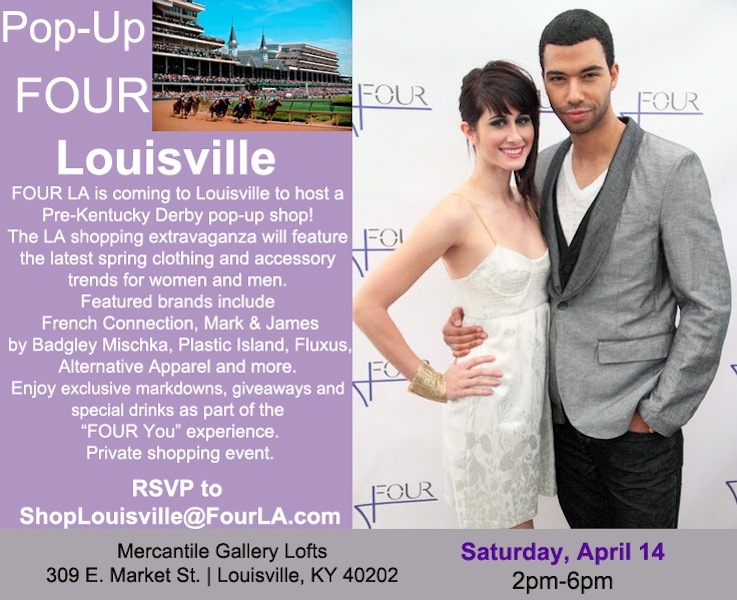 FOUR LA will pop up in Lousiville on Saturday, April 14th, from 2p-6pm, for a Pre-Derby shopping extravaganza! Reserve your spot with an RSVP to ShopLouisville@FourLA.com.